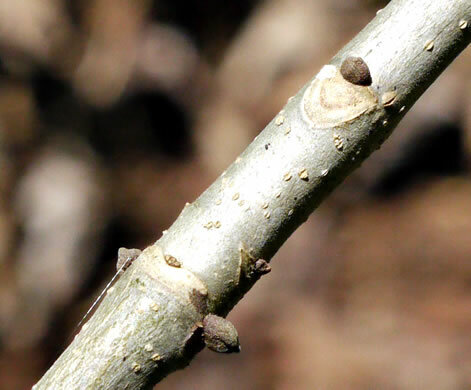 Your search found 3 image(s) of leaf scars of Ash species. 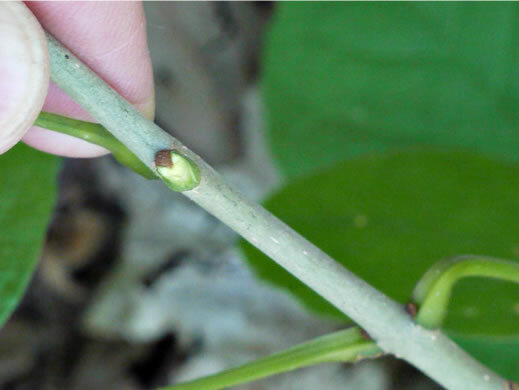 Top margin of leaf scar deeply notched (1/3 to 1/2 of total depth), per Woody Plants of the Southeastern US: A Winter Guide. 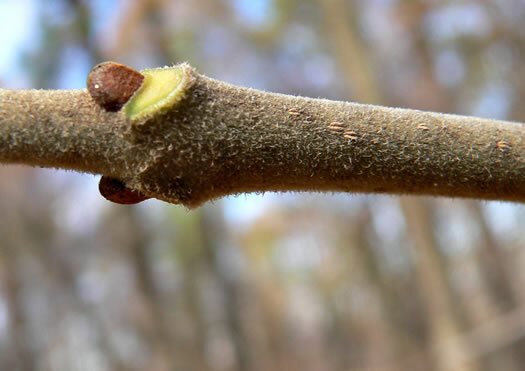 Biltmore Ash's velvety twigs lack White Ash's notched leaf scar, per Woody Plants of the Southeastern US: A Winter Guide. Top margin of leaf scar shallowly notched to nearly straight, per Woody Plants of the Southeastern US: A Winter Guide.